Pick up a new README zine during the poster session of the Visions of Justice and Liberation Symposium at UCLA. Hosted by InterActions and the Center for Critical Race Studies, the symposium aims to facilitate dialogue and partnerships across disciplinary boundaries, enable collaborative work, and highlight new directions and research agendas. 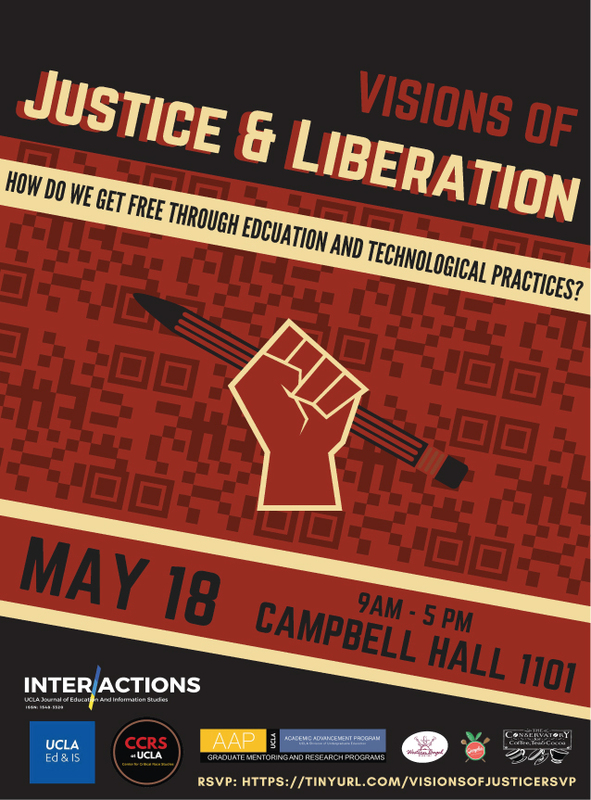 Visions of Justice and Liberation Symposium: How Do We Get Free Through Education and Technological Practices?